A Typical Day at Hey Viv ! - Hey Viv ! 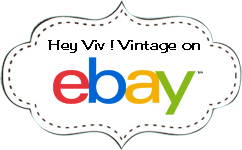 Each day is a little different at Hey Viv ! I spend a lot of my time on customer service, answering email, taking photos in the studio, and listing new items. It's a full busy day. For example, today I packed and shipped orders, and took care of emails from customers and suppliers. I opened, checked a box of sheer scarves made in a new size, and planned the photo shoot to highlight them. Trouble shooting a problem in the checkout at Hey Viv ! took more time than I wanted to spend. Then I took photos of vintage dresses and edited them. Wednesday is always budget checking time, returns, and banking. Lunch was spent at my desk working, then I spent time trying to figure out products on Walmart that were stuck in processing - I was trying to push them through to go live. Poshmark took a good 30 minutes, sharing and following. Now, it's about 3:00 and I'm trying to figure out what to do with the rest of my day and my endless to do list.